Hard floors are the increasingly popular alternative to carpets as they provide hard wearing durability, long lasting strength and ease of maintenance and cleaning. Hard floors are considered to be a valuable and pricy feature of any well kept home so it makes sense to look after them professionally. 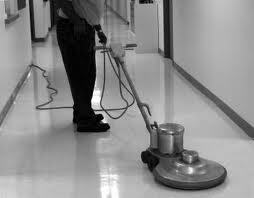 Hard floor cleaning is a serious task which requires technical expertise and experienced touch. Our entire hard floor cleaning work is performed by specially trained technicians equipped with professional grade equipment in order to deliver exceptional results every time without any compromise on quality and efficiency. We can perform top level hard floor cleaning of all types of floors including tile, marble, terracotta, concrete, natural stone, clay, brick and more. We have concentrated much of our efforts and expertise on providing our customers with no-fuss, down to earth, straight to the point cleaning without the hefty price tag. Using professional grade equipment and cleaning technicians who know their work inside out gives us the competitive edge as we provide the best priced service around with the best quality results to match. Customers can be sure our people will do their best to bring hard floors to their former glory. Our technicians will put in the effort to clean every square inch of flooring, with professional efficiency and punctuality. Hard floor cleaning is something customers should be able to do at their own convenience so the service runs seven days a week with flexible appointment hours. The hard floor cleaning service can be ordered as a standalone or in combination with another of our quality domestic services for more value for money. Enjoy adequately priced, professional hard floor cleaning service as we aim to work around your schedule and do so with the least amount of disruption to your everyday routine. Call now to receive a free of charge quote, book your service today and enjoy like-new hard floors at a fraction of the cost! Hard floors are desirable and highly valued home features which provide for genuine appeal and lots of style. Many people prefer hard floors over carpeting due to their easier cleaning and maintenance requirements but proper care and cleaning is a must for anyone who wants to keep their hard floors looking as good as new for as long as possible. Professional hard floor cleaning is a technical and demanding task which we take very seriously. Our hard floor cleaning crews are specially trained in the application and use of the appropriate equipment and materials. We aim to deliver exceptional cleaning results without compromise on quality or efficiency. We can perform top level hard floor cleaning of all types of floors including tile, marble, terracotta, concrete, natural stone, clay, brick and more. Our people will review and asses the condition of the floor and determine the most appropriate way to clean it. In some instances hard floor cleaning could end up costing you a small fortune, not with us though. We aim to provide all our customers with no-fuss, straight forward cleaning service they can rely on. Our people will work quickly and efficiently in order to keep the cleaning appointment to a minimum duration as customers work and family commitments are more important. If the task at hand is of substantial proportions we will dispatch a number of cleaners in order to complete the job in the agreed amount of hours. Our efficiency and exceptional results have allowed us to keep the service price to a minimum which in turn makes us the preferred service provider as we don’t compromise on quality. The hard floor cleaning service is designed with flexibility and convenience in mind, so the appointments can be booked for any day of the week with flexible hours. There are no extra charges for weekend jobs or public holiday appointments. Customers can receive a free, no obligation quote as per the size and type of their flooring. We can also arrange for the hard floor cleaning to be done on regular basis for extra customer convenience. Many people have realized the advantages of hard flooring over conventional carpets, but perhaps they have also realized that hard flooring needs proper cleaning care and maintenance in order to keep it looking good for as long as possible. Certain types of hard floors actually cost quite a bit to purchase and install so it makes sense to take care of them professionally. We specialize and provide professional hard floor cleaning for all types of flooring including tile, marble, terracotta, concrete, natural stone, clay, brick and more. Our specially trained crews will visit your house fully equipped and ready for the task. They are geared up with modern, high efficiency equipment in order to achieve top level cleaning results fast, with no risk of damage to any hard floor surface. Hard floor cleaning is a technical procedure which requires a lot of prior experience and plenty of technical expertise to get it right. Our technicians have undergone additional company training as to deliver top level results on every job. We will do our best to bring your hard floors to their former glory. We can also provide professional advice on how to keep your hard floors looking better for longer and how to avoid damage. Hard floor cleaning usually takes longer than some other services we offer so we have designed the service to fit around your daily commitments. Hard floor cleaning can be booked for any day of the week, including weekends and public holidays. We can also arrange for flexible appointment hours as to avoid disruption to your already busy schedule. Customers can also have us come and clean the hard floors on a regular basis if the house sees heavy use or is in the process of being sold and great looking floors are compulsory. Customers can receive free of charge, no obligation quotes. If the job at hand is of substantial proportions we can organize for a viewing in order to quote you correctly.